Check out some awesome Voila Garlic Chicken from Birds Eye!! They are out with the Food Truck in PB 729 Hornblend Street 92115 till 3 pm!! You will be sorry if you miss it!! Yummy stuff!! We're giving out samples & coupons in front of the famous Rocky steps at the Philadelphia Museum of Art between Kelly Dr & Spring Garden St. Come try our skillet meals! 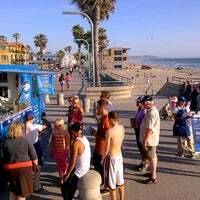 Today we're at Mission Blvd and Ventura Place, close to: Mission Bay, Belmont Park and Mission Beach. Stop by for free samples and coupons! We'll be at Giant Eagle on 6204 Route 30 in Greensburgh, PA from11am-2pm! Come by for coupons and samples of our tasty skillet meals! We're out near HowardUniversity now! Come see us on Barry Pl NW & Georgia Av NW in DC for samples of our tasty skillet meals! We're out in Philly on N 38th St & Poplar St giving out free food & coupons! Come by & try our tasty skillet meals! Join us for free samples & coupons from 4:30-6:30 at Kroger on 2810 Quebec St in Denver, Wednesday, 7/31! Stepping out for Lunch today? 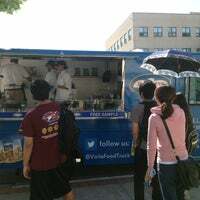 Check us out on Stout & 16th St in Downtown Denver for Free Food & Coupons! Join us for free samples & coupons from 4:30-6:30 at Safeway on E Lincoln Ave in Lone Tree today! Check us out at King Soopers on Evans Ave in Denver today from 4:30-6:30 for samples & coupons! Good Morning Hollywood! We are on Hollywood Blvd between Highland & Orange! Stop by for samples of our hot skillet meals! We're on N Broad St & W Olney Av giving out samples and coupons! Try our skillet meals today! 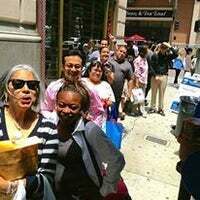 We're giving out samples & coupons on 15th & Chestnut in downtown #Philly. Try our skillet meals now! Hello NYC! 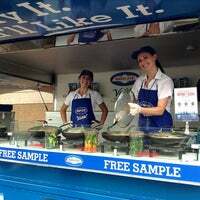 Meet us on E 8th & Broadway today for coupons and samples of our tasty skillet meals! We're on W 37th & 8th giving out #Free samples of our tasty skillet meals! Come by now! Join us for lunch lunch near at Lindo Paseo & Campanile Dr near San Diego State until 1pm! Find us at National Mall on the corner of 15th St NW & Constitution Ave NW in DC for samples & coupons! Find us by National Mall on the corner of 15th St NW & Constitution Ave NW in DC for samples & coupons! It's our last day Philadelphia! Meet us on Ranstead St & S 15th for samples & coupons! Meet us on the corner of Wisconsin & M St near the Shots at Georgetown Park for samples and coupons!! The Voila! 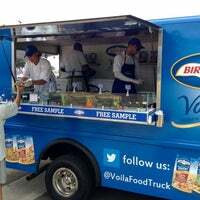 Food truck is giving away free samples of their yummy products! We're on the corner of 13th St NW & F St NW in DC with free samples of our awesome skillet meals! Looking forward to sampling for all the employees at Birds Eye this Tuesday! Were in downtown San Diego at C street & 2nd avenue. Come and get your free samples! Check out Voila! Food Truck outside Vons at 3610 Adams Ave, San Diego! Join us on the corner of F St NW & 13 St NW in Downtown DC for samples and coupons today! Meet us on E 41st St & Park Ave in NYC for samples & coupons! Our Food Truck is going coast to coast to give America a free taste of our skillet meals. Ready in minutes and sure to please the family!